Newcomer Che Mills agreed to fight against Chris Cope at UFC 138 event in England. A UFC welterweight title belt is now seeking for a new holder. 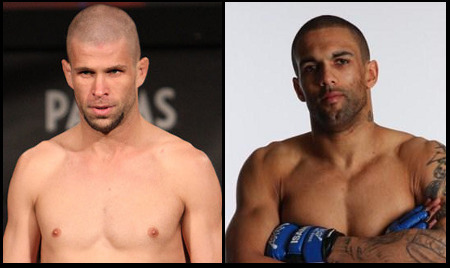 Could it be “The Ultimate Fighter 13″ challenger Chris Cope or former Cage Rage British welterweight champ Che Mills? Sources recently disclosed that the two camps have verbally agreed to meet at the forthcoming UFC 138 event, which will be held on November 5 at LG Arena at the National Exhibition Centre in Birmingham, England. The evening’s main card is expected to air in the U.S Spike TV through a same-day tape delay. As of now, there are still no reports on which card will the Cope vs. Mills bout fall. Chris Cope (5-1 MMA, 1-0 UFC) made his official UFC debut last June 4, 2011 on the Ultimate Fighter 13 Finale card, wherein he defeated his teammate, Chuck O’Neil, through a unanimous decision. He was renowned for entering the event’s semifinals, gaining victories against Javier Torres and Shamar Bailey. The upcoming UFC 138 is said to be his first bout outside the U.S.
His contender, promotional newcomer Che Mills (13-4 MMA, 0-0 UFC), currently owns a four-fight victory record, in which 13 of his career wins were attained via stoppage. Furthermore, he had successfully represented his home country through securing a place on the ninth season of “TUF”. Unfortunately, he was finished by James Wilks in the elimination round, which pushed him against the house. Stay tuned to Fighting Insider for more UFC 138 news.